Lufthansa Technik AG is to provide comprehensive technical support for the new Eurowings long-haul fleet. The agreement was reached with SunExpress Germany, which operates intercontinental flights from Germany for the Lufthansa Group under the Eurowings brand. In the framework of a Total Technical Support TTS®, Lufthansa Technik will among other aspects handle component supply, aircraft maintenance, engineering services and the supply of consumables for up to seven Airbus A330-200 widebody aircraft of the airline. “Safety is a top priority for SunExpress, which is why we are now also proud to rely on the dependable work of Lufthansa Technik for the technical support and maintenance of our long-haul jets,” says Jaan Albrecht, CEO of SunExpress. The comprehensive Total Support contract also covers integrated component supply (Total Component Support, TCS®). This includes the overhaul of components, transport services, spare part pooling and material leasing services at the home base of the Eurowings long-haul fleet at Cologne-Bonn airport in Germany. Lufthansa Technik is also looking after wheels and brakes for the aircraft in this context. Thanks to extensive engineering services (Aircraft Engineering Services, AES), Lufthansa Technik plans, manages and monitors the maintenance of the Eurowings A330 fleet and additionally maintains the machines at the Cologne base. This also includes comprehensive supply of consumables and expendables (C&E) for the aircraft. The new agreement is a further step in the long-standing and trusted cooperation with SunExpress at its base in Antalya, Turkey, as well as SunExpress Germany in Frankfurt. Lufthansa Technik has, for example, already provided substantial technical support for other sub-fleets and performed engine overhauls and aircraft painting for the German/Turkish airline. 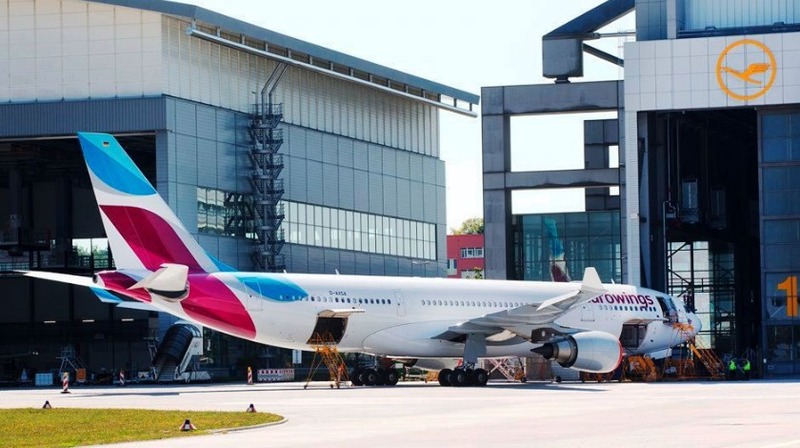 Moreover, Lufthansa Technik upgraded the cabins of the Eurowings A330 aircraft at its Hamburg base last year.